Since I've been avoiding garlic and onion – and been much better for it too – I have avoided making classics that rely on those ingredients. But I decided to give Shepherd's Pie a go. 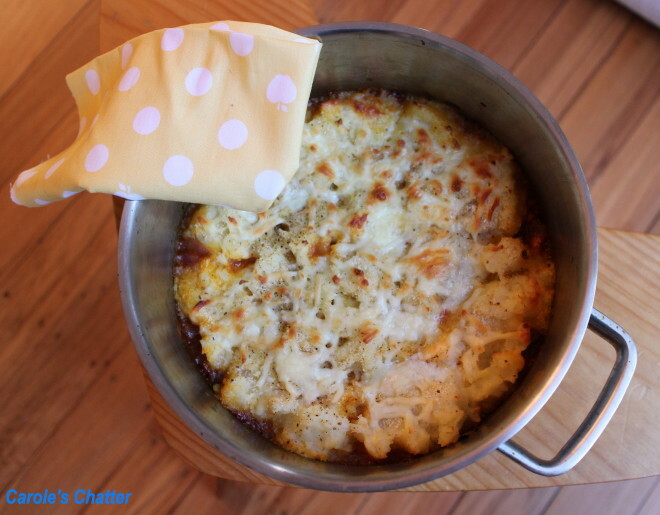 Shepherd's Pie is traditionally made from leftover lamb and mashed potatoes. 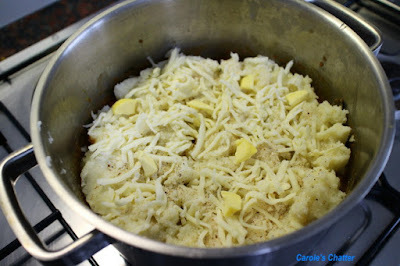 If you make it with mince (ground beef) it is then called a cottage pie. So first I gently heated some oil in my casserole dish – which can also go onto the top of the stove. 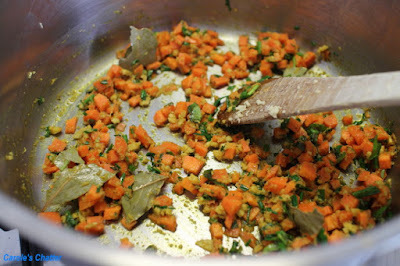 I added a few spices to the oil – cumin, chilli powder, turmeric, asafoetida and let the flavours meld for a minute or two. I then added some finely diced carrot and freshly grated ginger – a good knob. If you wanted to add onion and garlic this is when you'd add it. I added some finely chopped fresh herbs – rosemary (a smidge only), thyme, chives and basil together with a couple of bay leaves which I left in large pieces so I could fish them out later. While this is sautéing very gently I chopped up the leftover lamb (reserving the bones in the freezer for making stock later). 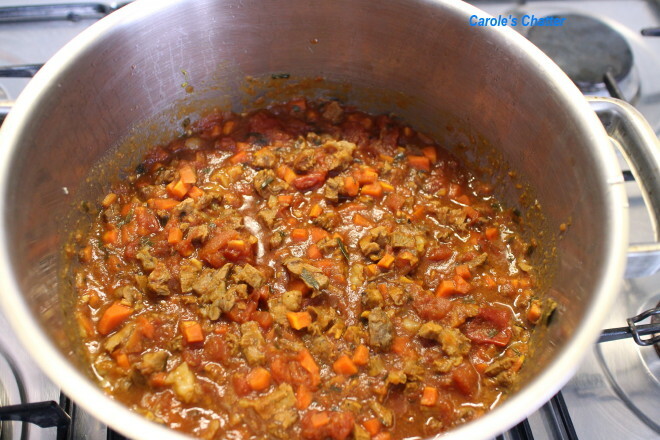 You add the lamb, a tin of chopped tomatoes, some tomato paste, fish sauce, Worcestershire sauce, porcini powder, a teaspoon of sugar, a splash of lemon juice and stir. Just let that keep cooking gently while you prepare your mashed potatoes. Spoon your mashed potato on the top – I went for the rustic look. Sprinkle with breadcrumbs and grated cheese and a few dobs of butter. I prepared this a bit in advance so at this point I popped the dish into the fridge but you could cook it right away. To finish it just needs to be baked in a moderate oven until it is piping hot and the topping is nice and brown. Thanks for sharing the difference between Shepherd's Pie, and Cottage Pie. Good to know! Thanks for your good recipe for these dishes without onion and garlic. So many people can't tolerate these things.